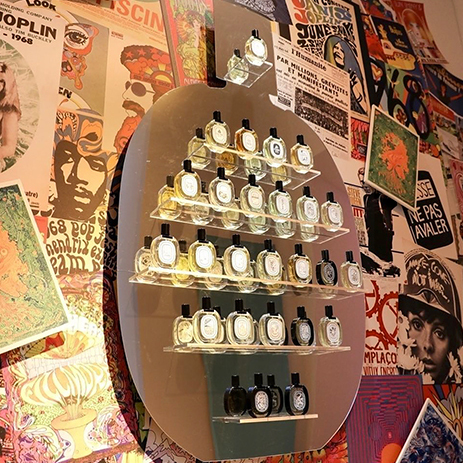 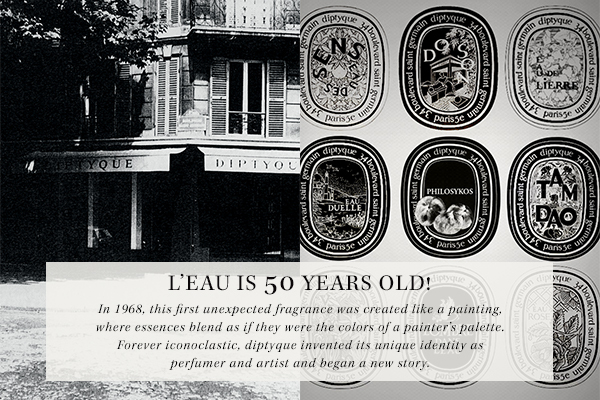 Created in 1968, L’Eau was the first of the first, an olfactory time machine for inventing the future. 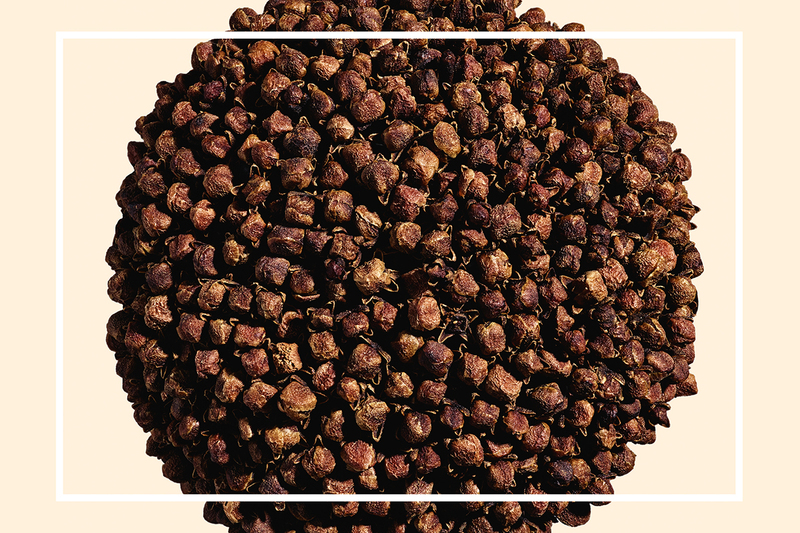 It effuses macerations of clove and cinnamon, flowers and woods. 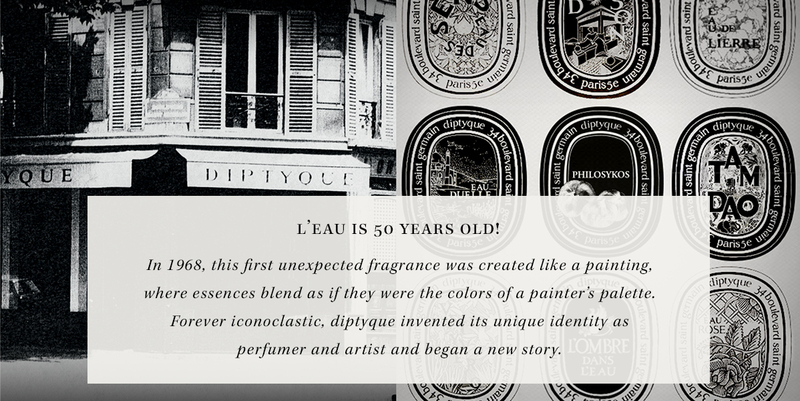 Long before anyone else, L’Eau was defying gender codes: it spoke neither in the feminine nor the masculine, it captured both. 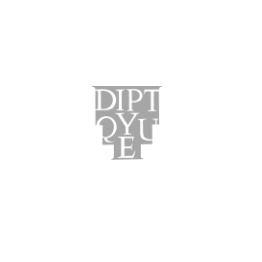 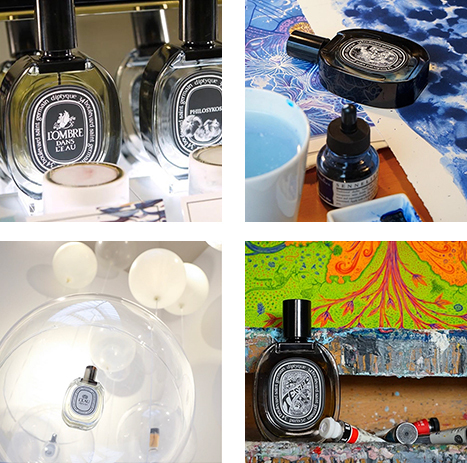 Since the time of this first creation, all the names of diptyque’s fragrances have contained either an “O” sound or the word “Eau”.